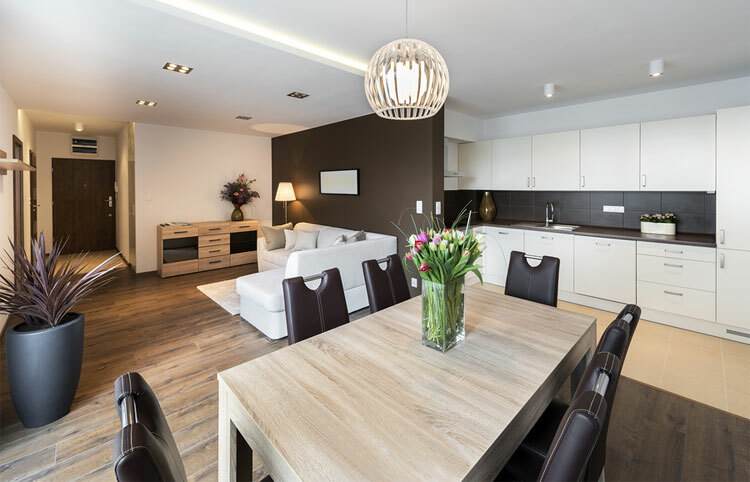 According to research from Countrywide, furnished flats provide the best rental return for landlords, as they are more appealing to students and young professionals. The majority of towns and cities tend to have a younger tenant population who are willing to pay more for furnished flats, as they are yet to acquire any furniture of their own. Rural areas have less young people and more families, so unfurnished properties are more popular as most families already have furniture to bring with them. The data from Countrywide shows that furnished flats have a premium of 8.1%, meaning they will receive on average £52.40 more than unfurnished flats. Furnished houses only have a 2.8% premium, but that is still an extra £14.90 a month in comparison to unfurnished houses. The report found that in July 2013, UK rent has increased by 3.7% in the past year, with the main areas of growth being seen in outer London. The key to the best rental returns for landlords is finding out what potential tenants want and providing them with exactly that. In some very affluent areas, tenants are willing to pay up to a third more rent just to ensure they get a property that is furnished to a high quality standard. Large places of employment can really affect rent prices, as if a company moves to another city, the employers will most likely follow. When the BBC moved up to Salford, there was a huge impact on the city’s rental market, as BBC employees were willing to pay quite high premiums to ensure they had furnished flats close to their place of work. Seaside locations are also the sort of places that attract higher rent for furnished property, as they are popular with elderly people who want the simplicity of a ready furnished home they can move straight into. The average monthly rent across the country has increased by 2% to £753pcm in the last 12 months, pushing it higher than the 1.9% rate of Consumer Price Index (CPI). The fastest increase was seen in the South East, where rent has increased by 3.8% in the past year. “Our lack of affordable homes and sky-high house prices are leaving more and more families with no choice but to live in unstable and expensive private renting, with many struggling to make ends meet. "We hear from people every day having to cut back on essentials because they can barely make their rents each month, let alone save for a home of their own." Rising rental returns may be good for landlords, but with prices continuing to rise, it may now be cheaper in many circumstances for tenants to consider buying their first house instead.